I am a sweetheart rabbit girl. I love to run and binky! I love to be pet, and I love interacting with people. There is no reason you shouldn't adopt me! I have an unusual tawny coat, which is why I am named Sarsaparilla, after the root used to make root beer. My nickname here at the shelter was "Root Beer Face." hee hee! 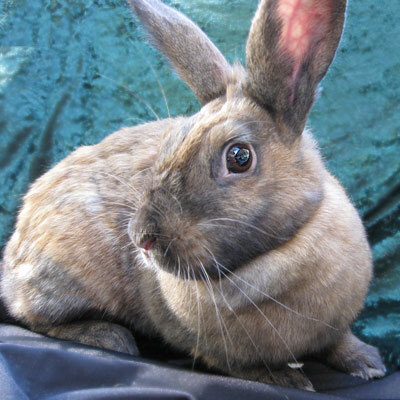 All the nice folks at the shelter and at SaveABunny love me a lot, but they tell me that being a house rabbit and being pet and played with all the time by someone special will be even better.